How Do I Get My Twin Flame to Stop Running? Home Q&A How Do I Get My Twin Flame to Stop Running? First of all I want to yet again thank everyone who writes to me! I’m so happy to hear about your wonderful experiences with energy tools and how my writing inspires you, and for those who write asking for help I want you to know I appreciate you opening up like that – I know it can be tough. I want you all to know I read all the emails I get but I’m unfortunately not able to respond personally to all the contact I get. If you’re hurting right now, my best advice after encountering thousands of Twins to date and having been through Ascension myself is to begin working with your energy. I’ve had Twin clients who’d been waiting 20 years for their Twin to stop running, to no avail – it wasn’t because the universe had deemed them unworthy of coming together or because there was something wrong with them. It was simply because they weren’t in alignment with it. Their energy was blocked to it happening. Download the Free Help Kit for Twin Flames right now to get going. Things really can change for the better for you, no matter what’s happened before. Twin Flame Running is probably the most feared part of this intense journey we’re on, and I’m asked about this all the time. When I’ve done readings and coached other Twins, I encounter so many struggling with this infamous phenomenon – their Twin “running”. Being someone who has a clear channel to spirit and each Twin’s soul when I’ve done readings, I have had a unique chance to get a direct look into the psychology and energy of so-called Twin Flame Running. This is unfortunately a very damaging perception which can mess up your energy – what we expect, we manifest. I would like you to keep something in mind when you read articles about Twin Flames and get advice from intuitives – is it empowering or disempowering? Is it encouraging or is it setting me up for problems? It’s come to my attention that a lot of Twin Flame articles and “teachings” out there are based in one particular book by one particular person, written decades ago. I would be careful to accept info like that as true, just because it’s been repeated a lot. Likewise, I encourage you to read this blog similarly – if something doesn’t resonate with you, it’s your choice whether to align with it or not. No one’s journey is identical to someone else’s – it’s why I focus on sharing adaptable tools rather than giving you a set of “rules”. There are a lot of terrified Twin Flames out there. And a lot of Twin Flame experts and intuitives who unfortunately contribute to more fear, more struggles by feeding into the fears of Running and Separation and feelings of helplessness in the face of divine decrees and outside forces of power. Everything I’ve experienced both on my own journey and with clients points in the same direction – this can be either a beautiful love story, or a tale of woe. But it’s not written in stone either way. It’s a lot more up to you than you might think. The truth is Twin Flame Running is not a guaranteed thing. At all. The Twin Flame journey is all about love, beneath it all. Any struggles are due to energetic imbalance. Triggering of old wounds. You have the power to resurrect the love in your connection no matter what’s happened before. Please don’t buy into anyone’s ideas of stages that must happen in such and such a way, and that the Twin journey is a romantic rite of suffering. It’s really not. No one except you dictate your journey and experiences. It’s all about energy, and your energy is something you can shift and harmonize once you know how. Don’t talk about it, think about it, don’t expect it – by having it on a loop in your mind, you’re manifesting it. You’re pushing it onto your Twin, reinforcing them to be and act like a “Runner”. Twins impact each other a lot with their focus and energy – more than others, because we’re two sides of one original consciousness. What you reinforce becomes more and more entrenched in your reality field and experiences. Have you spent time thinking about your Twin Running and how awful it is or being afraid of it happening? Unfortunately this means you’ve been manifesting it. Begin to steer your thoughts and words away from it and begin instead to focus on what you would be happy to experience, and the things you love about your Twin. You are a co-creator of your experience. Use this power responsibly. When you begin to look for the love in someone, you’ll be surprised at what they mirror back to you. Have a look at what beliefs you carry around the Twin Flame connection and about women/men. Are you expecting Running? Fearing it? What we fear, we draw close to us. The universe responds to what we send out – it doesn’t “understand” that we DON’T want our twin to run or to not get in an accident or what have you. It just registers that we keep sending out the signal of “running” or “accident”. Fortunately, fear is just an energy pattern. A “recipe” we’ve downloaded into our being from someone somewhere. Because fears are energy patterns, we can clear them using energy tools. This is a huge help in manifesting something new and positive instead. Life on earth is simply one part of the Twin Flame journey – there is so much going on behind the scenes on this path, in the realms of energy, the soul planes. No matter what your Twin is going through in life and what their actions have been, their soul loves you eternally. Interacting with your Twin’s Soul and strengthening this bond between you, will help heal your Twin connection in “real life”. Connecting in love with your Twin’s Soul helps them step into the eternal part of their consciousness – the part of them that knows who they really are and why the two of you “belong together”. Strengthening and enjoying the soul bond in love will help them release any animosity and move them into a state of emotion and energy where they begin to be drawn to you again. You can attract your Twin Flame, no matter where they’re at, by interacting with their soul and engaging with them that way. This was something that shocked me in dozens of readings and coaching sessions with Twins whose counterpart was a Runner – that the Runner Twin’s soul was always full of love for their counterpart no matter how hurtful they’d been in life. If you’re hurting right now, you might find it healing to read this: Message To You From Your Twin Flame’s Soul. 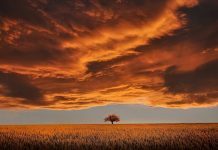 In the Free Help Kit for Twin Flames there’s a deep alpha level meditation which takes you through exactly how to connect with your Twin’s soul in a safe and loving way. I receive emails every day about the wonderful experiences twins all over the world are having with this. You can download it here right now. On the Twin Flame journey when Ascension is triggered, all the baggage we’ve taken on in earthly life is triggered to come up to be cleared and released. This means old wounds resurface and all the painful past stuff gets stirred up again on its way out. 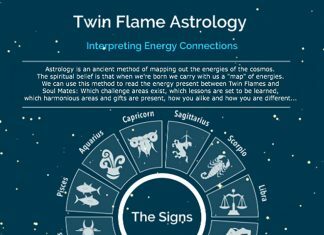 Because the Twin Flames are so closely connected and are originally one consciousness, it is extremely common for Twin Flames to trigger each other. The roots of Running are old wounds being triggered again by negativity traveling from one Twin to the other. Have you noticed that Running often happens right after amazing experiences of love and togetherness? In these moments – especially when there’s a sexual climax – the Twins come so close their energies open to each other. All the wounds laid bare, and when this happens, triggering is incredibly common. Spirit asked me especially to create a healing track for Twin Flames to clear the channels between the pair, to eradicate common triggers of Running and Separation. I did this with myself and my Twin on our journey all the time because I discovered that things that memories of relationships and attachments from past lovers not only impact one Twin but both. Clearing the channels between you and your Twin regularly will remove any triggers of Running/Chasing/Separation and allow you to raise your connection into harmony. This will give your Twin the emotional and energetic “space” to calm down and feel safe to open up again. When you remove the triggers you allow for harmony to be restored. We’re always creating. When we think, we create. When we speak, we create. When we write, we create. When we feel, we create. We’re always sending out messages in the form of energy to the universe, reaping back what we’re in alignment with. Creative Visualization is an amazing and enjoyable way to begin consciously creating what you desire. If your Twin Flame is a Runner, visualize them with you in harmony. Visualize your ideal situation. No matter how unrealistic it seems to start with, it will begin to shift your energy and your reality field to create it and invite it in. And it will positively impact your Twin Flame too. Try it for 30 days and notice the shifts. Creative visualization is an ancient Hindu method but has become famous in recent years. An array of leading lights credit their success to Creative Visualization, from Will Smith and Oprah Winfrey to Jim Carrey and Tiger Woods, to name a few. For an article on the science of it, go here. The human instinct is to expect more of what we’ve already experienced. It’s hard wired in our brains. So if your Twin has been “running”, the most obvious thing for your mind is to expect more of the same. But that’s not doing you any favors, and it’s not true. Things change all the time. Both in life and in relationships. Couples who have been happily married for 30 years were once strangers to each other. Celebrities who are plastered across the internet were once completely unknown. Change happens all the time – happy change too. I know you might be frustrated with this article, thinking it’s so unlikely that your Twin will ever change… You have to give them and your energy a chance to shift though. Try it this new way – if the old ways haven’t worked then it’s only logical. Allow yourself a set time, even, but make sure you stick to your new “routine”. For some people it’s an almost instant shift but for others it might take a little bit of time. When you begin manifesting, it’s like planting a flower seed in the ground. it has to first sprout, then grow for a while under the ground before you even see the visible little green shoot come up above the ground. Then, it grows up for a while before the flower comes forth. When you begin shifting your energy and clearing blocks that have been in the way for your connection, things begin to change but it happens in the unseen first. The “reality results” could show up in unexpected ways, but know that once you begin to shift your energy, your focus and your expectation – they are on the way. Ready for happy changes? Begin cleansing your chakras and shifting your connection into harmony today with my Free Help Kit for Twin Flames! You can also read here about the amazing experiences other Twins have had with my methods.